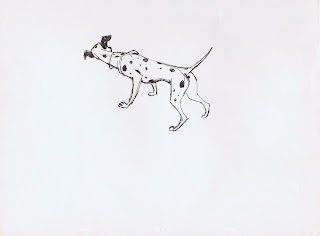 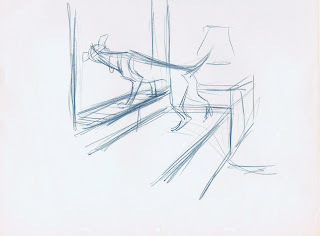 Ollie Johnston animated this short scene with Pongo, who is trying not to loose sight of Anita and Perdita who are heading for the park. 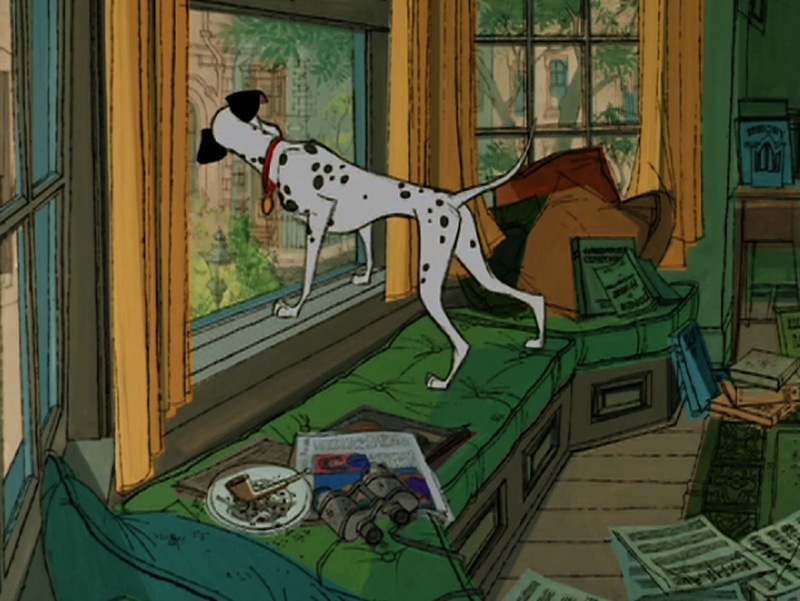 After a brief pause he leaps off the window ledge toward screen right. What happens then is Pongo's attempt to convince Roger Radcliff to take him on a walk to the park. It is fascinating to see how many sketches were made by various artists in order to find the perfect pose for the start of the scene. Since Bill Peet's storyboard didn't include a drawing for this moment, it was up to the animators to work it out. 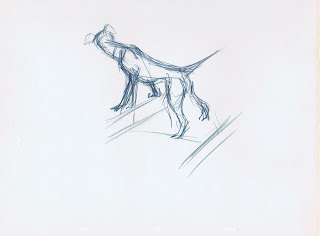 The challenge is portray a dog from from a 3/4 rear angle, who looks out the window down the street with a sort of anxious attitude. 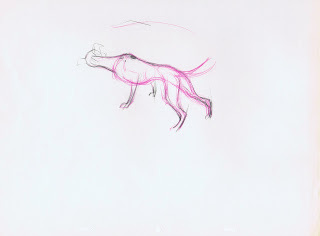 Above is the final frame from the film, but check out all these drawings. 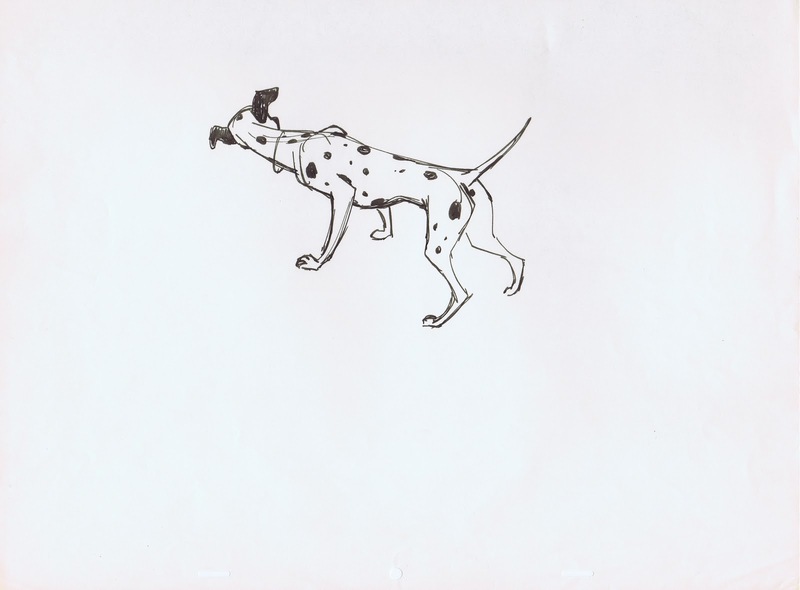 This is how Frank Thomas analyzed Pongo's pose and its staging. 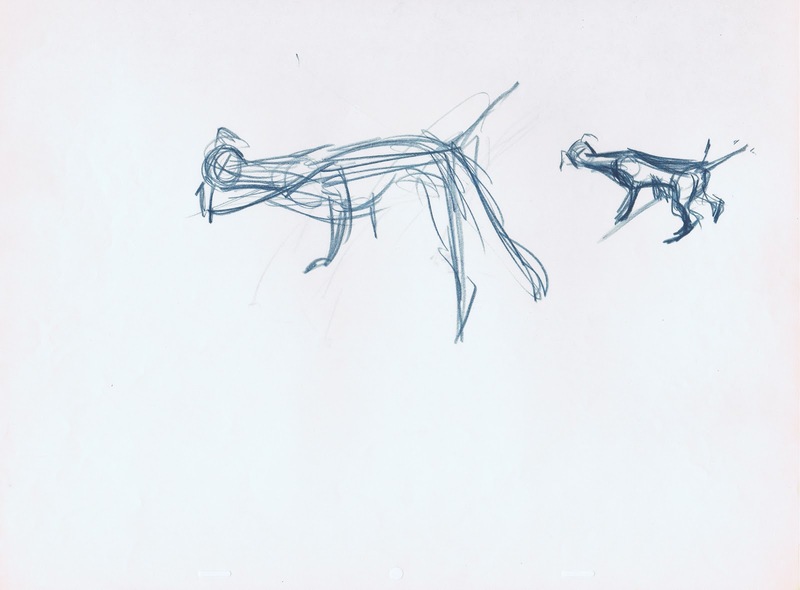 These could possibly be Ollie Johnston's sketches. 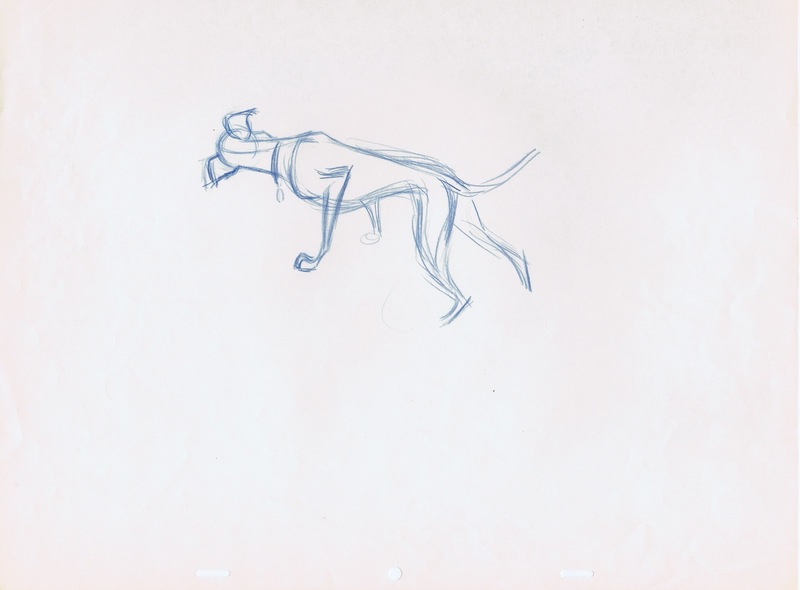 Milt Kahl tried a couple of different versions which helped to solve the drawing problem. 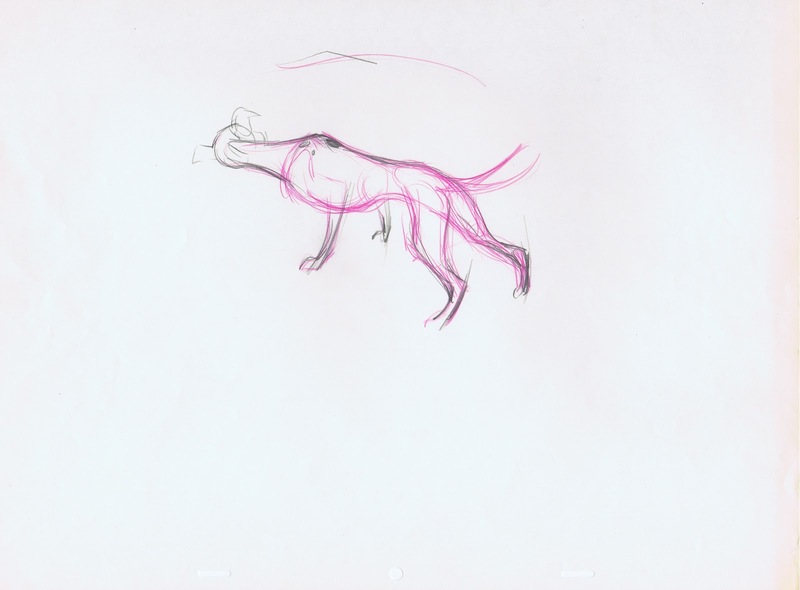 It looks like these animators exchanged drawings and asked each other for help more often than I thought. 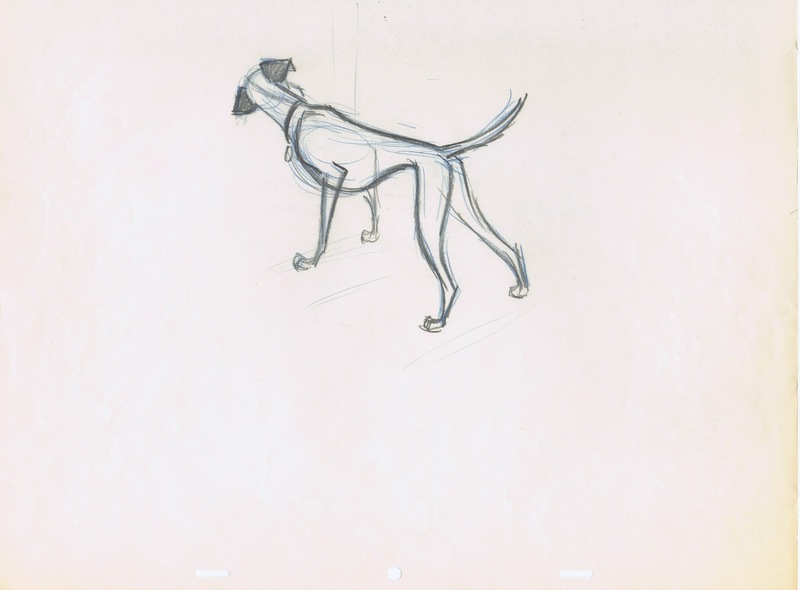 Then again producing a Disney animated feature is one big team effort.